If you’re new to it, it can almost seem like you’re encountering another language or culture. It can be both alien and daunting. If you are experienced with that particular social media platform, you tend to witness a lot of people doing it very badly. So what does this tell us? It tells us there’s a disconnect. As a marketer, you have to accept that to use a social media platform to market your business, you must first bridge that gap. You really have to take the time to master this alien environment before attempting to promote your business on it. That all sounds like great common sense, but in reality, you’re probably asking yourself: How on earth do I master a new platform? 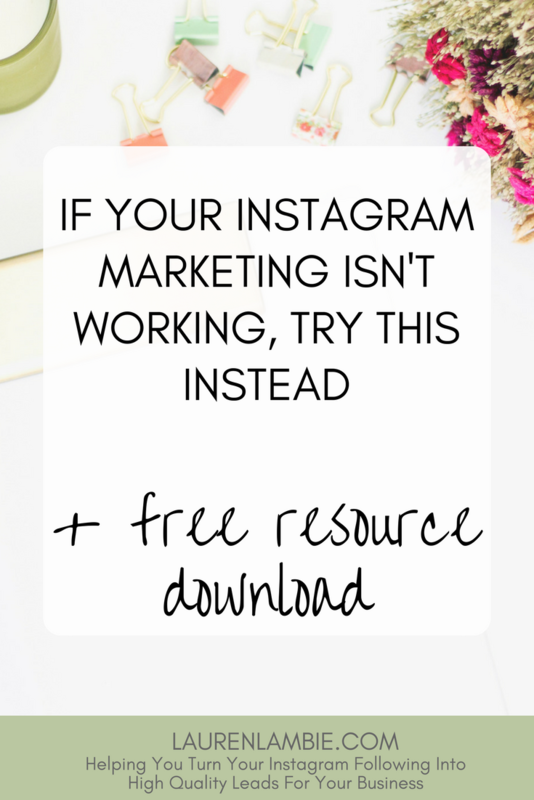 That was certainly my reaction when I first registered with Instagram, and because I couldn’t get an immediate handle on it I just couldn’t see how it might benefit my business. That was painfully wasted time, because when looking back I now realise those precious months could have really helped me generate new customers in a very unsaturated environment, if only I’d taken the time to get to know Instagram properly. That’s why I decided to create this blog post. I want to show you a very simple and very powerful way of mastering not just Instagram marketing but any social media platform (or future platform that has yet to be invented). This has been my go-to method now for about a year now and it works brilliantly. And fear not; it isn’t a huge amount of work and you are actually likely to find it a lot of fun (after all, this is social media we are talking about, not some dry subject like search algorithms). Let’s start by looking at why many companies fall flat on their face when trying to use social media for the first time to promote their business. True story. And I’m showing my age here. When text messages started to take off in the 90’s, friends would occasionally start writing LOL in a text to me. For a while (I won’t say how long, possibly embarrassing) I simply thought they were referring to me by the nickname my family have used for me since I was a child – Lol, a common way of shortening Lauren. You can see where this mini story is going. I was slow to figure out the norms and language of text, and realise the real meaning of LOL. Suddenly those text messages took on a whole new meaning for me. Social media is the same. It is full of norms and language that you have to be ready to grasp if you want to immerse yourself in that whole new environment without standing out like an outsider. And this is where a lot of companies fail, because they first and foremost see social media is a mere marketing angle for their business. It’s not. The clue is in the name. It’s social. It’s a social platform and you have to understand how to be “social” on that platform before you can ever have any hope of using it as a marketing tool and promoting your business on it. 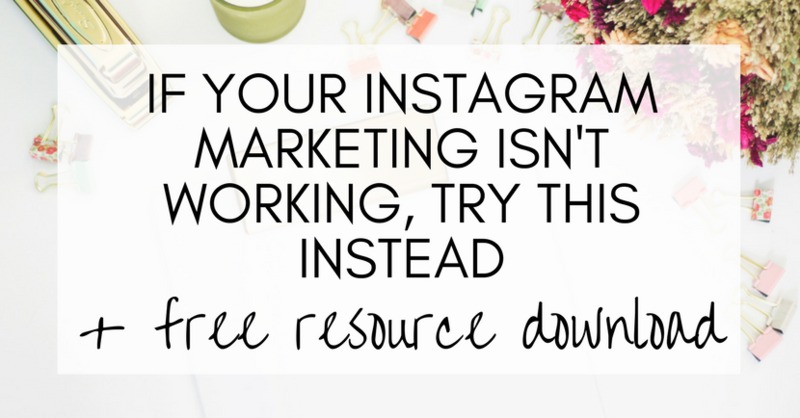 So if you’ve tried and failed to market your business on Instagram or any other social media platform, chances are you’ve tripped up by thinking that you can just register, create a profile, and starting promoting. If that’s not going great for you, read on. I’m going to explain an alternative, but very simple approach to getting to grips with any social media platform. That approach is about becoming a customer. If you want to sell on social media, you first need to learn how to buy. I don’t mean this in a technical sense. I mean it in a psychological sense. You need to understand what motivates you to buy something you first saw on social media, and how to apply those same principles to your own business. (Sure, you could simply read a guide on how to sell on social media instead, but in my experience there is no substitute for immersing yourself in the platform wholeheartedly as a real customer. So that is what I’m going to show you how to do). The best way to immerse yourself in a platform is to find something you have a genuine interest in, and create an account to follow that interest for a full week (preferably longer). Use it to learn everything you need to know to successfully market on that platform. But do it as a customer. For example. I’m really into healthy living and healthy eating. I want to learn new healthy recipes, learn the latest in nutrition, and learn how I can ensure my whole family has a healthy diet. Instagram is great for this. There are some fantastic, beautiful, colorful accounts to follow that provide inspiration and guidance for someone wanting to discover the latest in healthy living. And so I have a private account that is solely dedicated to following these healthy lifestyle gurus. Choose something that you like enough that you’d make a purchase related to it. So no humor accounts or obscure niches that you have a vague interest in. I want you to choose something that actually motivates you enough to buy. Consequently, I also want you to choose an interest or a niche that actually has something to sell. You might like cute pictures of tigers. But you’re probably not going to go out and buy a tiger (well, apart from the soft toy variety). Choose something where someone needs to do a bit of work to help you part with your hard earned cash. On your new, private account, behave like a customer, not a marketer. Start by looking at accounts to follow. What keywords are you typing? What other keywords are suggested? Those three questions are going to give you some fantastic information about how to make your own business account discoverable. It’s going to help you understand that when customers think of words to search, they aren’t necessarily the same words you use to describe your business. You need to make your Instagram account packed with keywords that your customer is likely to use. For example, on my private account I might search for something like “sugar free”. Now, if you follow sugar-free diets as I have, you’ll know that one of the biggest experts in the field is the Australian guru Sarah Wilson, author of I Quit Sugar. 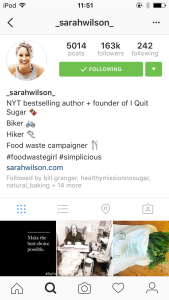 However, when you look at Sarah’s Instagram account, look at her profile. 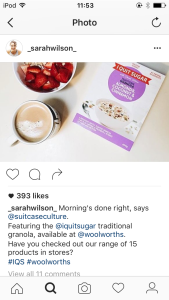 There isn’t a single use of the word sugar or the phrase sugar free, apart from #IQS which is a hashtag likely to be familiar to her biggest fans but not potential new customers who could discover her. Likewise, take a look at her posts. 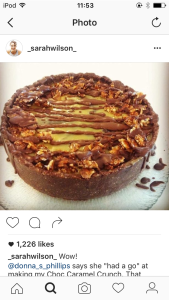 She isn’t using that phrase in her recipes and she isn’t using sugar-free as a hashtag. I don’t want to single Sarah’s account out. I’m a huge fan of her work. And perhaps she’s at the point in her career where she no longer wants to be mainly associated with the label of sugar-free living (interesting that her account mentions food waste instead), but if she was one of my customers and she was pitching herself as an expert in sugar-free living, one of the first things I’d be telling her is to start adding the phrase sugar-free to her profile, in the descriptions of her posts, and as a hashtag on relevant posts such as recipes. With your private account, keep searching different keywords until you start to discover accounts that are perfectly matched to your interest. Were they easy to find? Did you use keywords that were obvious to you? That’s exactly what your customer is doing on Instagram. They are using keywords that are applicable only to them, that are obvious to them but maybe not obvious to you. You’ll see that you can search top, people, tags and places. 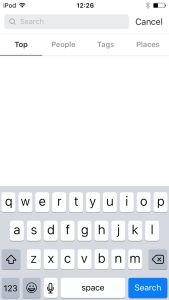 Try searching top, people and tags at least for your favorite keywords. Keep repeating this until you’ve found your first accounts to follow. Why did you click on their account? When you run a top or people search, you’ll get a list of accounts. What made you click on some accounts and not others? What this is going to show you is how important the account name and profile picture is to how discoverable you are on Instagram. Take note of the types of words, names, descriptions and pictures that caught your attention, and why. When you looked at the individual account, did you decide to follow it or not? Why? When you found an account you loved enough to follow, what was it about the account that made you want to follow it? Was it the profile? Or was it the posts? Was there something about the design, the personality or was it more about how closely aligned that account was to your interests? What accounts did you discover when you searched by hashtags? Many Instagram users underuse or misuse hashtags. A private account is going to give you a really good idea of how you can use them effectively to make it easier for your client to discover you. When you search different keywords using the hashtag feature, you’ll notice that Instagram will give you some recommendations. Take note of this. Those recommendations are good ways for you to use hashtags on your own business account. When running this type of search on your private account, you’ll get a list of posts matching that hashtag. Browse through the posts and click on the ones that you are most attracted to. Think about what it is about these posts that attracted you to click on them, because again this is going to give you clues about how to make your own posts attractive on your business account. Is it the quality of the image? Or is it the color? Is there a great quote that caught your eye? Have a look at the hashtag sugar-free as an example. I’ve included a screenshot below. Notice that the first 9 posts are “top posts”. Have a look at what they have in common. They are beautifully presented. Quality goes a long way on Instagram. This is a good way to begin to understand the type of content you should be producing for your business account. Notice how the most striking content is often not at all promotional. This is important to remember. Too much promotional content is one of the biggest mistakes I see new marketers making. Instead, you need to be thinking about content that’s going to attract attention, draw in the eye, and let you stand out as an account that is high quality. 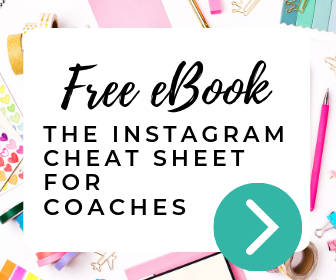 The more time you spend on Instagram, the more you’re going to refine your content skills and develop a deeper understanding of what works and what doesn’t. And when you are in “customer mode” by using a private account, you’ll be able to experience for yourself how an Instagram audience reacts to different content (and ultimately, what is most likely to attract a new follower). 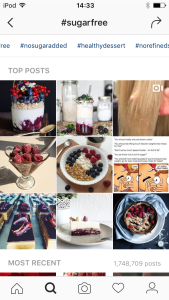 #nosugaradded has 86000 results, so it’s still popular with that audience, but you are more likely to produce a post that gets noticed using that hashtag, as there is less competition. 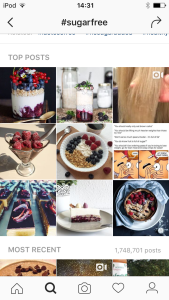 Again, your experience as a customer on Instagram will help you understand what types of hashtags work for your audience, and how you can apply that logic to make your own posts discoverable on Instagram. When you follow a new account, how do you react to new posts? Do you like the content? Is it as good as you hoped it would be? How would you categorise the content? Is it educational? Inspirational? Funny? Personal? Is the content consistent? Do you know the brand just by looking at one of their posts? Or could the post be from any account? Have they written in the description of the post? Do you read it and do you find it helpful? Has it change your view of that account? Does their content make you want to learn more about them? Does their content make you feel like you can trust them? And does their content make your want to buy from them? Do they post to frequently? Do they post so infrequently that you forget about them? This is going to give you some great information. It will tell you what’s going to help generate loyalty amongst your own followers with your own business account. You’ll probably be surprised at just how much your followers expect you to post, and the types of content that will really help build loyalty. Finally, have you purchased anything from the accounts you follow? This is, ultimately, the most important question you need to ask yourself. What compels you to buy off anyone you’ve met through social media? That’s one of the reasons that, when doing this exercise, you should choose an interest that you like enough to buy from. You don’t need to actually go ahead and buy anything, but I want you to explore your interest on Instagram to the point where you are tempted to buy something. Getting people to buy from you after they first heard about you on social media requires an understanding of customer psychology. Being in that customer mindset through your own private account is going to help you get a feel for the types of emotions that go through you before you decide to purchase from someone. Perhaps you feel skeptical. Or curious. Perhaps something about their account has put you off buying from them (if that’s the case, what it is that put you off?). Likewise, what made you take that jump and buy? Was it a particular post? Was it because you felt a bond with that person? Or was it because you love everything about what they do, and when they offered something for sale you couldn’t wait to snap it up? The more questions you ask yourself, the deeper your understanding of buyer psychology on social media. Now, you are well on your way to becoming an expert in social media marketing, and mastering the art of promoting your business via Instagram. This exercise, done right, should take about 1-2 weeks. By the end of it, you should have totally immersed yourself in the Instagram experience. You’ll get a clear idea of what works, what doesn’t, and what to avoid like the plague. Write down as much as you can, take notes, and when making decisions about what you like or don’t like about an account, be ready to ask yourself why. Do this, and in no time you’ll be able to master the platform for your own business. Not only that, but you’ll have a far deeper understanding about customer psychology that’s going to help you in every aspect of your business. 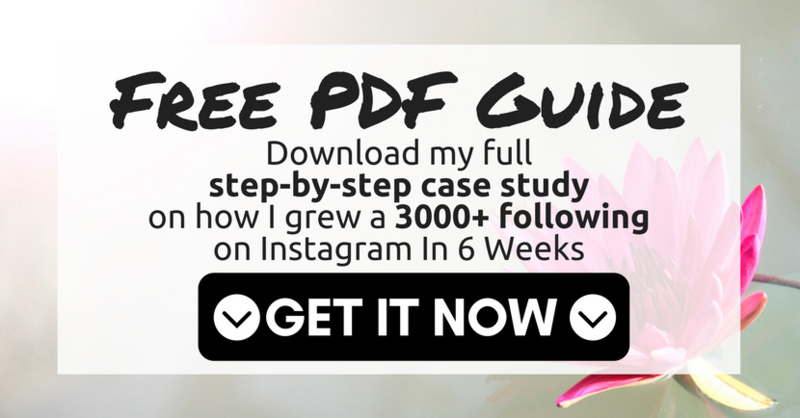 I want to show you a very simple and very powerful way of mastering not just Instagram marketing but any social media platform (or future platform that has yet to be invented). This has been my go-to method now for about a year now and it works brilliantly. This is amazing, Lauren! Thank you so much for some really interesting information on how to solve the IG puzzle. Shame I am currently unable to access my account to start implementing this – there seem to be some hiccups today with logging into/switching between multiple accounts. But when I can, I will! Best! I just found your blog via Pinterest and I must say it’s amazing. Keep up the good work!